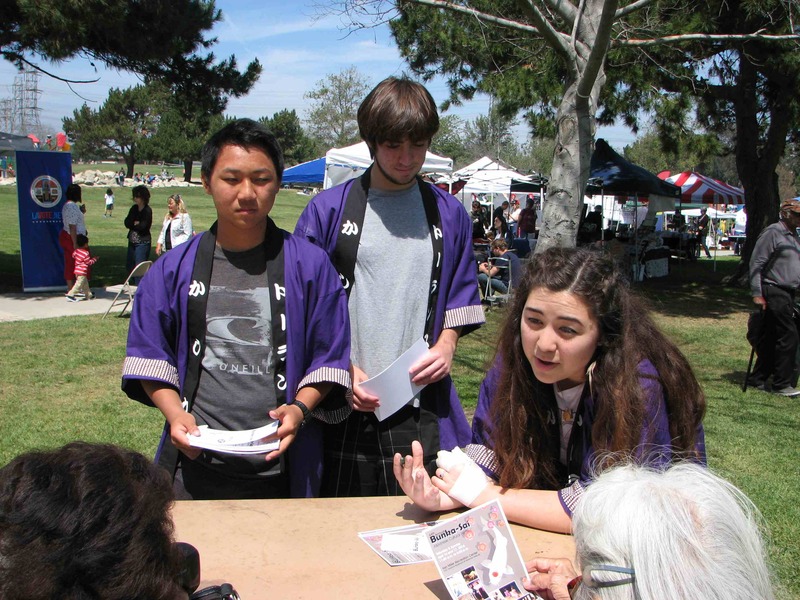 The annual Cherry Blossom Cultural Festival was presented by the City of Torrance Community Services Department on April 3 at Columbia Park in Torrance.Co-sponsored by Soka Gakkai International-USA, Torrance Sister City Association, Torrance Craftsmen’s Guild and North Torrance Homeowners’ Association, this year’s festival did not coincide with the blooming of the park’s cherry trees, but a good time was had by all. 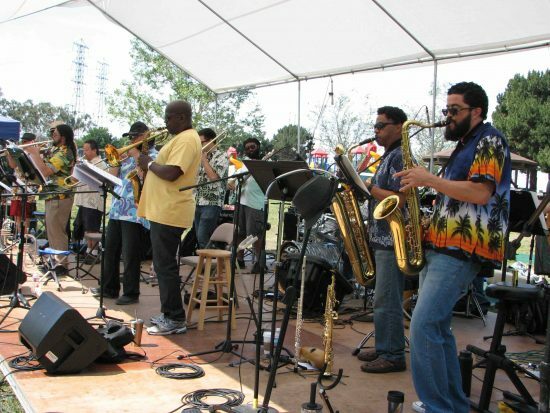 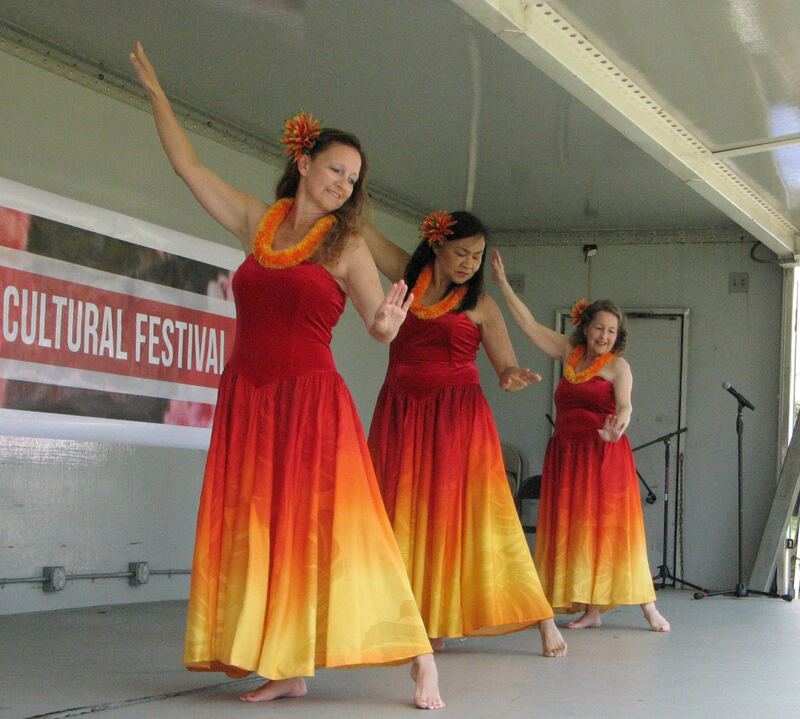 Multicultural entertainment included Mystic Wave (above), SGI’s jazz band, and Wahine Illikea Dancers (below). Above: Koto-Zanmai, an ensemble consisting of Yuki Yasuda, Yuki Kudoh, Yukiko Tsuji Sanders and Ayano Wolff. 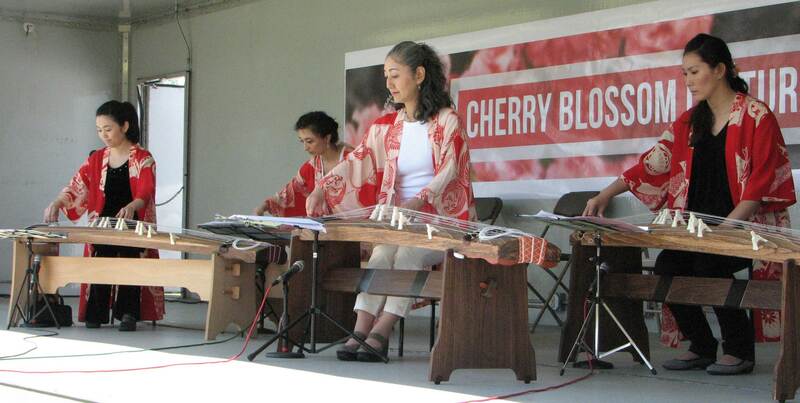 Below: Myo’on Taiko from SGI-USA. 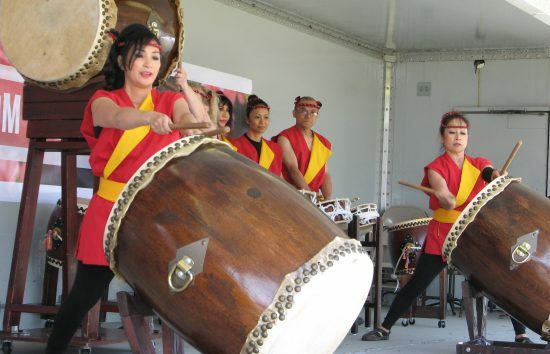 Entertainment also included Matsutoyo Kai, Aloke Dasgupta and Raga Ranjani sitar students, Torrance Naginata Dojo, Mai no Kai, and Sampaguita Youth Dance Troupe. 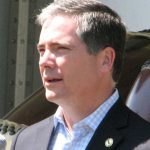 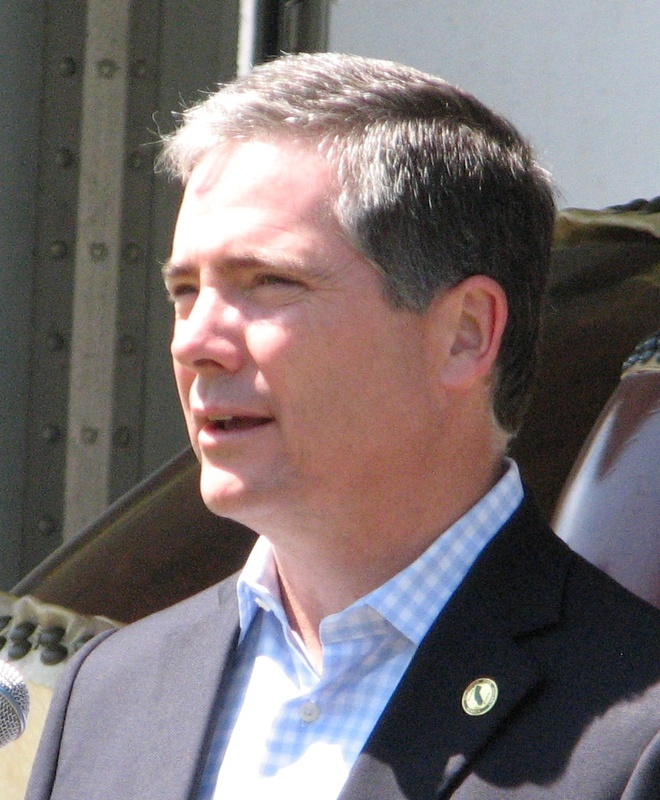 Right: Speakers included Assemblymember David Hadley (pictured) and Torrance Mayor Pat Furey. 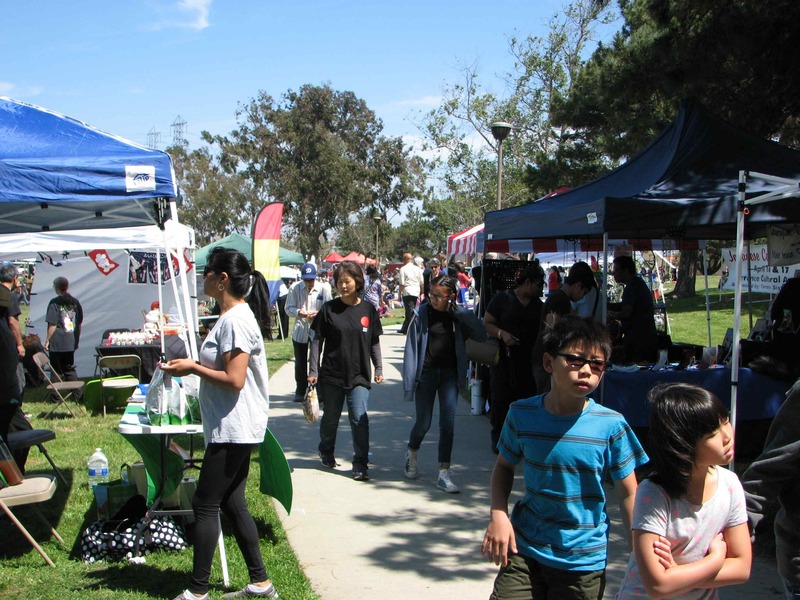 Below: Students from the Torrance Sister City Association sold raffle tickets and promoted the upcoming Bunka-Sai, sponsored by TCSA, which was held April 16 and 17 at the Ken Miller Recreation Center in Torrance. 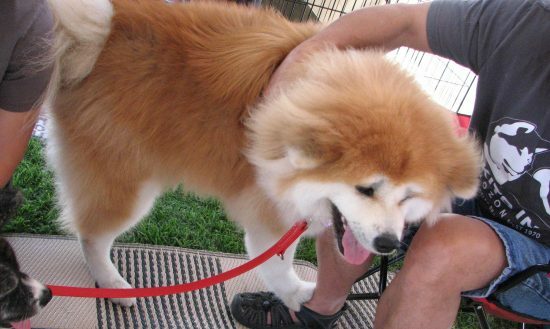 Visitors were able to pet Akita dogs at the Akitainu Hozonkai Los Angeles Branch’s booth. 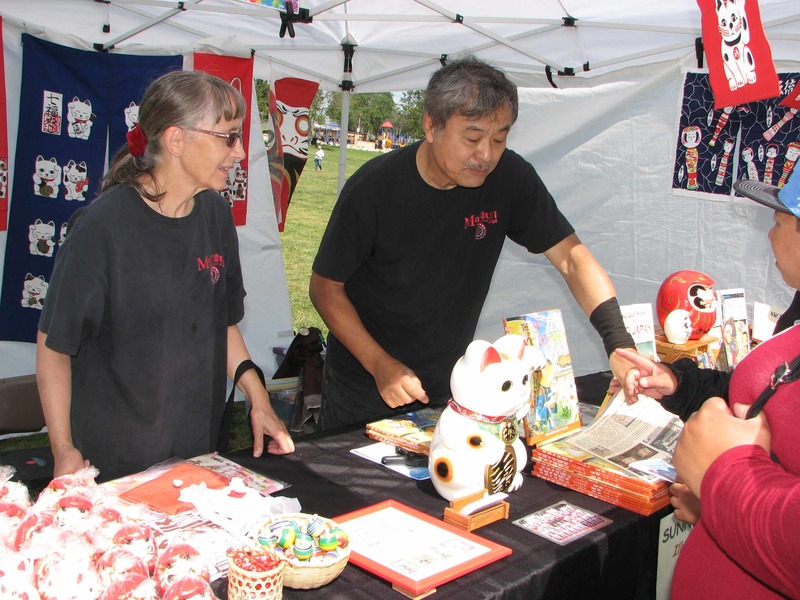 The festival also featured arts and crafts, food booths and food trucks, and origami.